According to Sky Sports, Wolves have joined Everton in the race to sign centre-back Yerry Mina from Barcelona this summer. Well, while Sky Sports say Wolves are keen, Italian site Tuttomercatoweb have gone one step further, reporting that the West Midlands side have made an £18m bid for the Colombian international, who starred at this summer’s World Cup in Russia. The towering 6ft 4in defender netted three goals in three games at the tournament for his country, including a late equaliser against England in the round of 16 to take the game to extra-time and eventually penalties. Mina only joined Barcelona from Brazilian side Palmeiras in January but failed to replace Samuel Umtiti and Gerard Pique at the heart of the Nou Camp defence. After racking up 99 points on their way to the Championship title last season, Wolves have made nine signings so far in the summer transfer window, including making the loan deal for centre-back Willy Boly permanent. However, with Boss Nuno Espirito Santo favouring a three at the back formation, another defensive addition would not go amiss at Molineux. 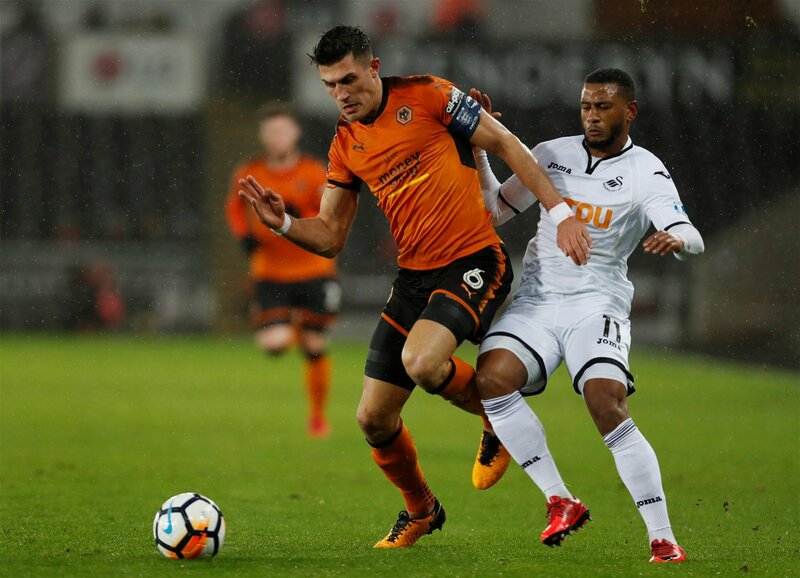 Signing Mina could put the place of club captain Danny Batth at risk, but the Colombian 23-year-old would certainly be an upgrade and could help Wolves in their bid to finish in the top half of the table in their first season back.